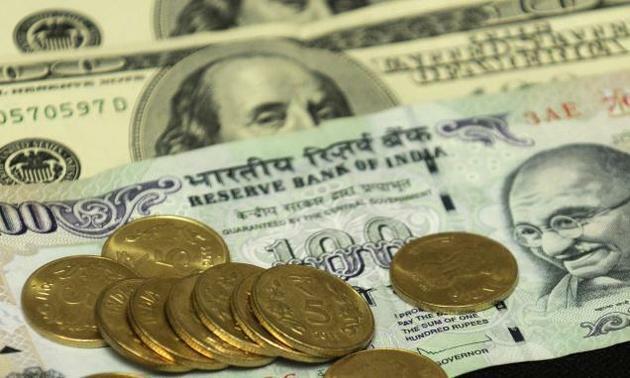 MUMBAI: The rupee appreciated by 26 paise to 70.86 against the US dollar in opening trade Thursday, driven by weakening of the greenback in overseas markets after the US Fed kept interest rate unchanged. The US dollar weakened in overseas market after the Federal Reserve left the key US lending rate unchanged on Wednesday, and said it would be "patient" about making any further changes. The rupee Wednesday had weakened by just 1 paise to close at 71.12 against the US dollar. Foreign funds purchased shares worth Rs 130.25 crore from the capital markets on a net basis, and domestic institutional investors also bought shares worth Rs 502.26 crore Wednesday, provisional data showed.